Our traditional green oak framed garages are designed and manufactured to meet your individual specification. Why not come and visit our purpose built display site situated in the heart of the Derbyshire Dales to view some of our quality products at first hand and to discuss your project in more detail. Your oak framed garage can be constructed with many different finishes including log stores, brick retaining walls, open carports, clock towers and internal partitioned bays, the choice is yours. 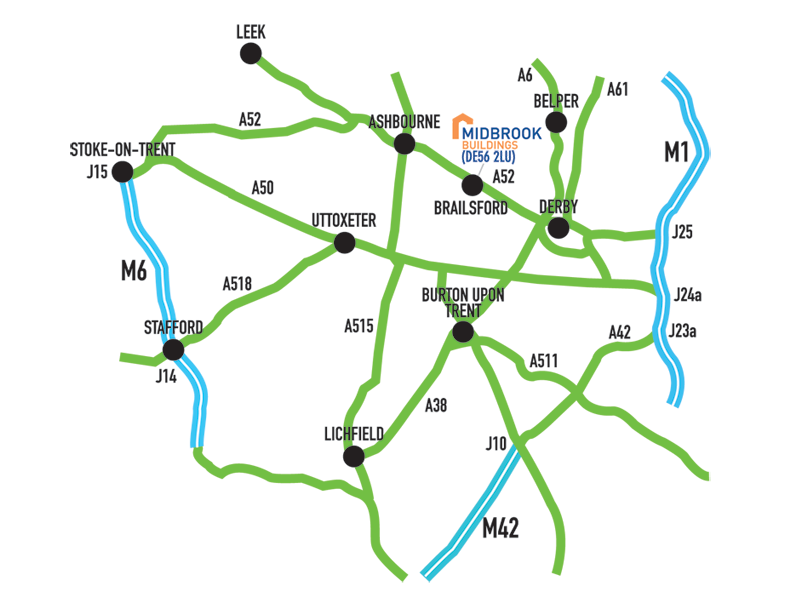 The Midbrook design team will assist you every step or the way to ensure you receive the building that best suits your needs. If you have not already applied for planning permission our in house planning specialist can submit planning applications on your behalf, free of charge. 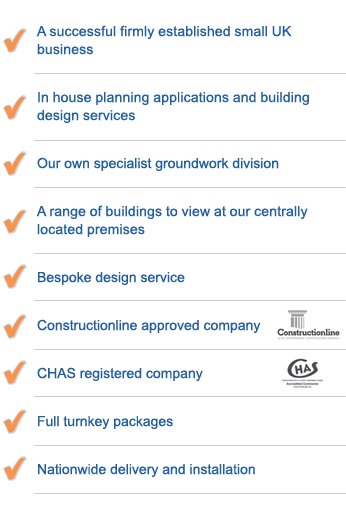 Full construction packages are also available throughout the Midlands area, please enquire for more details.